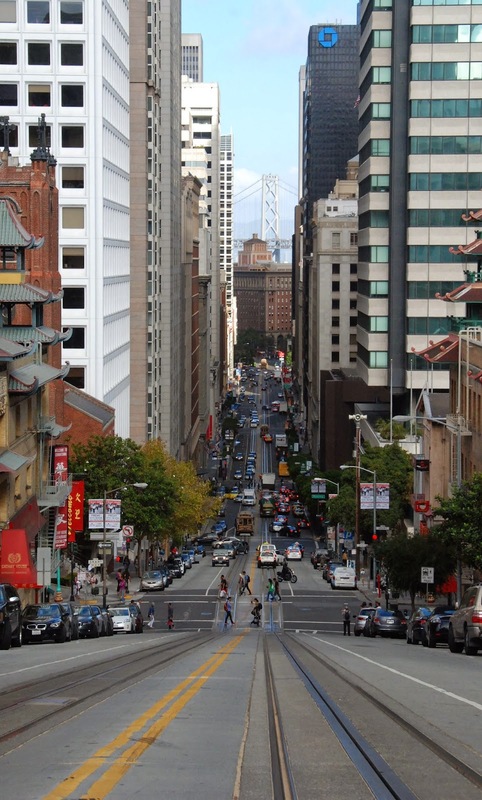 California Street from Stockton Street crosswalk. Our hotel was two blocks uphill from here, and I hiked this road several times during our stay. Great workout. I was impressed my knees survived. 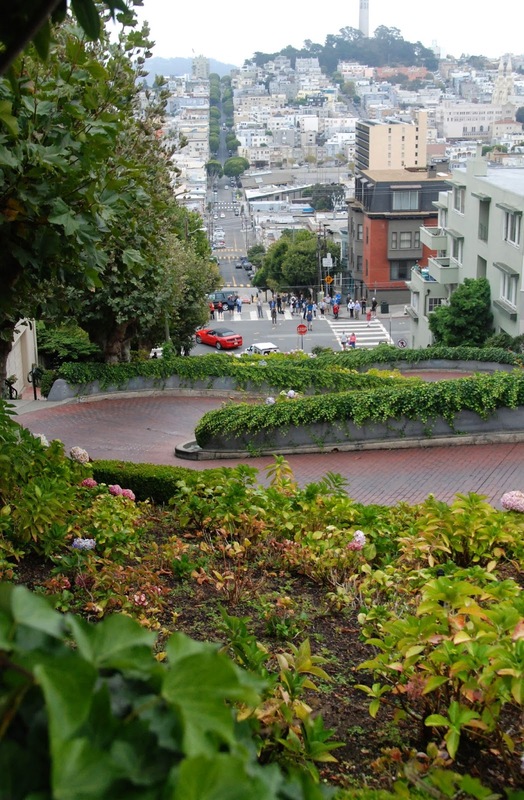 Lombard Street attracts many tourists (like us) who want to see the famous crooked street. This one block section is very steep, with eight hairpin turns.